Here are some facts about Rupert Brooke. Rupert Brooke was an English poet and he was once described as the most handsome man in England. He is known for his poems written during World War I.
Brooke was born in Rugby, Warwickshire in August, 1887. He won a scholarship to Cambridge where he helped to form a drama club and acted in several plays, including one performed in Ancient Greek. He joined several literary groups. He was a member of the Bloomsbury Group, as well as the Georgian Group and the Dymock Poets. Rupert Brooke suffered a nervous breakdown in 1912 and went to Germany and America to recover. While there, he wrote travel diaries for a London newspaper, the Westminster Gazette. 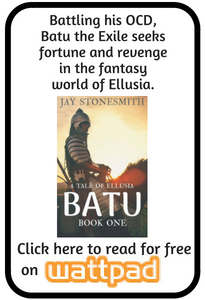 He also spent some time in Tahiti, where he wrote some of his early poems and fathered a child who died in 1990. He returned to England because of a lack of money. Brooke fought in Belgium during the early part of World War I. After returning to England, he wrote 5 poems about war which would make him famous. He sailed to Greece in early 1915, although German mines in the Mediterranean meant the ship went to Egypt instead. In Egypt, Brooke suffered from sunstroke and stomach troubles. Rupert Brooke’s most famous work is The Soldier, written during World War I. It includes the well known lines about a corner of a foreign field forever being a little piece of England. 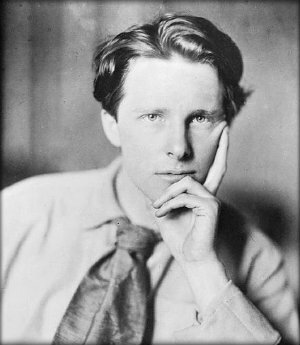 Rupert Brooke developed blood poisoning after an insect bite, in April, 1915 in Greece. He died and was buried on the Greek island of Skyros and the original grave marker is now in Rugby school. His poem The Soldier was read during the Easter Day service in London’s St. Paul’s Cathedral. His obituary in the newspapers was partly written by Winston Churchill. Rupert Brooke’s war poetry, written at the beginning of World War 1, doesn’t dwell on the horrors of war and promotes the idea that the sacrifice of life is for a greater good. It is in stark contrast to the World War 1 poetry written by Wilfred Owen and Siegfried Sassoon. Thanks for this. I am doing an essay on him for GCSE and you have really helped me out.